Philip is a passionate and enthusiastic professional orchestral and choral conductor, countertenor, pianist and trombonist. He is principal conductor of the Trowbridge Symphony Orchestra, the Silver Ring Choir of Bath and guest conductor of the West Mendip Symphony Orchestra. 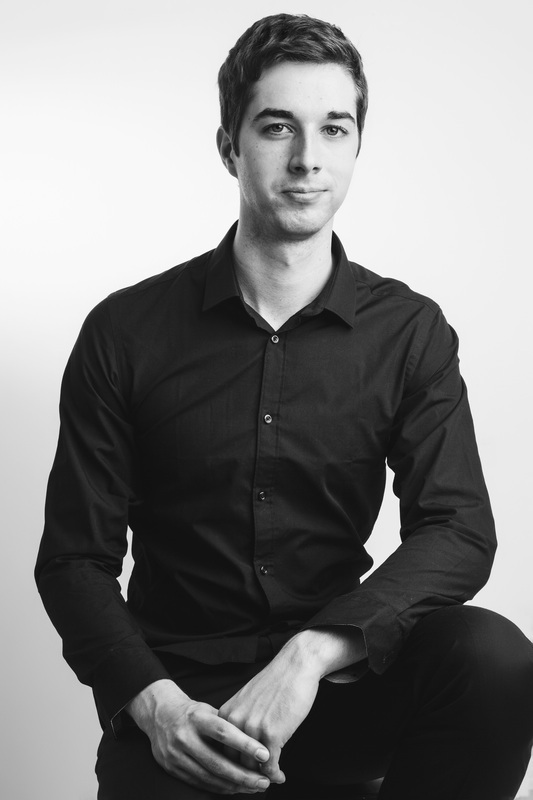 Philip has studied conducting with Robin Browning (de Havilland Philharmonic), Neil Thomson (RCM), Patrick Bailey (RPO), John Farrer (Bakersfield Symphony) and Steve Dummer (DISS). He has attended conducting courses at the Royal Academy of Music in London in association with the London Conducting Workshop, and at the Dartington International Summer School, where he also spent time observing the Advanced Conducting course run by John Carewe (RAM) and the Dartington Festival Orchestra. Philip graduated from the University of Southampton with a first class honours degree in Music, specialising in orchestral conducting. At Southampton he was an active conductor, pianist, singer, and trombonist. In 2011 he founded the Ellipsis Chamber Choir, which gave various concert performances over two years. In April 2013 he staged a highly successful performance of John Blow's baroque opera Venus & Adonis (the oldest English opera surviving today), which was "one of the best entirely student run productions ever to be produced by the department". Philip has been principal conductor for the Ellipsis Chamber Choir, the Southampton University Brass Band, the Southampton University Baby Symphony Orchestra and the TMP Conducting Ensemble. He has also held the positions of assistant conductor to the Southampton University Wind Orchestra, the Spiritus Community Choir of Southampton, and has conducted the London Camerata, the Southampton University Sinfonietta, the Petersfield Symphony Orchestra, the West Mendip Symphony Orchestra, the Havant Symphony Orchestra and the Dartington Teadance Band. Philip also sings professionally as a countertenor currently sings at Bath Abbey as an alto Lay Clerk. He has also frequently sung at Winchester Cathedral, Bristol Cathedral and St Mary Redcliffe Church as a deputy lay clerk, and has been a member of the Fitzhardinge Consort of Bristol and the Caritas Chamber Choir of Cardiff. Philip studied singing with Keith Davies (RCM) and Miranda Wright (RNCM, Durham University, Durham Cathedral) and gained a choral scholarship to sing as a countertenor with Cantores Michealis, the University's Scholar Choir. He has also sung for the Portsmouth Cathedral Choir, the Fidelis Chorale Chamber Choir, the Southampton Philharmonic Choir, the Spiritus Community Choir, the Langford Singers, the Byrdsong Vocal Quartet, the Nota Bene Vocal Group, the Dartington Festival Chorus, Felicitas of Epping, the Epping Forest Voices, and the Exeter College Chamber, A Capella, and Inspirational Choirs. The piano plays an important part in Philip's musical life. He studied keyboard with Professor David Owen Norris (RAM), Helen Cawthorne (RAM), and Adrian Hicks (RAM), and specialises in French, American and Russian repertoire of the 20th Century. He has also played extensively as a duettist, as well as for rehearsals, pit bands, and as an accompanist. Last year he premiered a piano work by the newly discovered British composer Arthur J Bath, and participated in a private concert in London held by Blüthner’s Mayfair Piano Showroom where he was one of ten pianists playing a Bach Organ Toccata simultaneously. He has also performed recitals for both solo piano and piano four-hands at the Turner Sims Concert Hall which included music by Barber, Brahms, Copland, Debussy, Faure, Gershwin, Rachmaninoff, Ravel, Shostakovich, and Stravinsky. Philip has played in a trombone quartet and for the Exeter Symphony Orchestra, the Exeter Music Group, and in the Exeter College Wind and Big Bands. He has also played for weddings and in 2012 he founded his own events management company, establishing himself as a musical events director.